La Tasca invited me down to the reopening of their Broadgate branch. 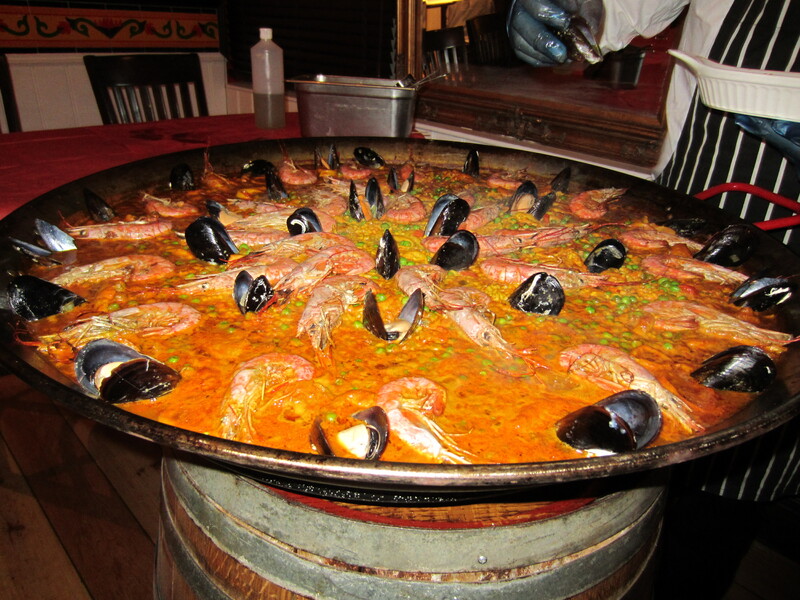 I have been to La Tasca branch many years ago and remembered being full up quickly. 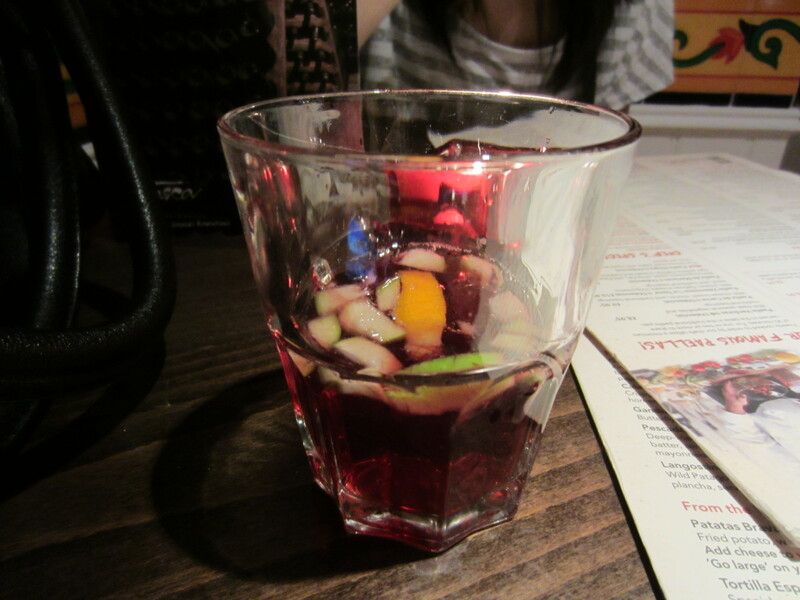 Upon arrival guests was greeted with sangria a popular drink served in Spain and Portugal. 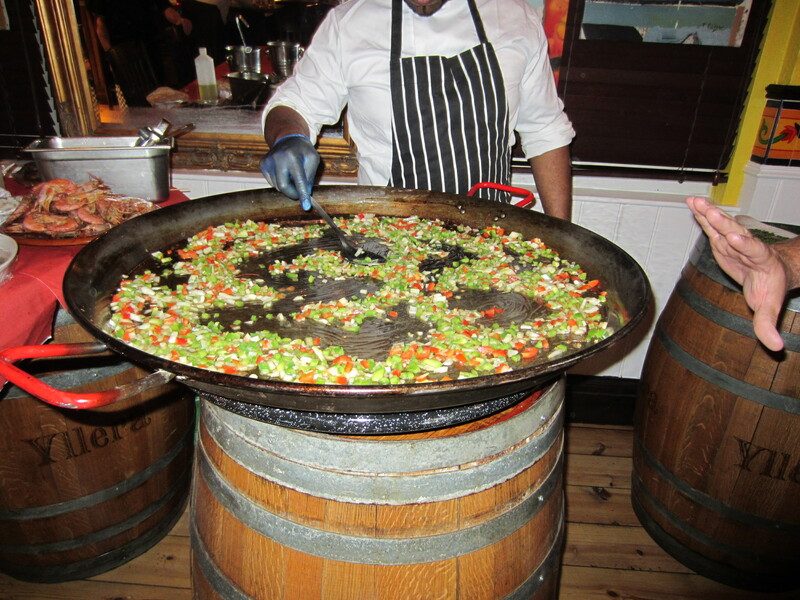 A ginormous paella pan was set up in the centre of the bar, and the DJ rocked the decks. 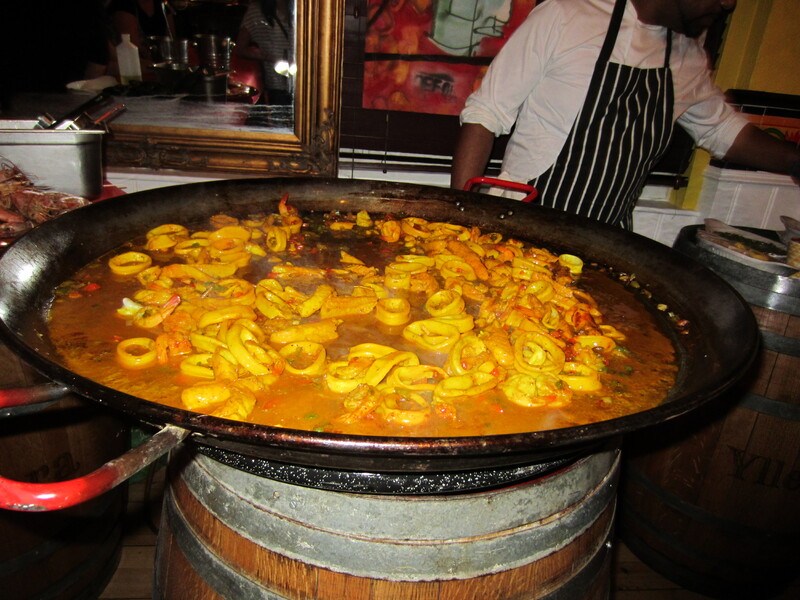 The chef tossed and turned the humongous prawns prior to the paella cooking class. 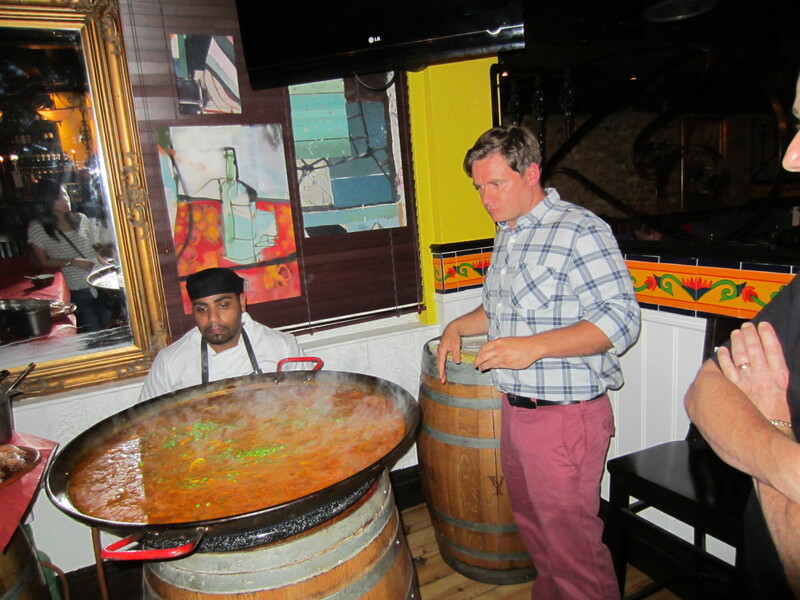 Antonio Bennetto, the executive chef of La Tasca was on hand throughout the whole class. Explaining each step, of the Valencia dish. 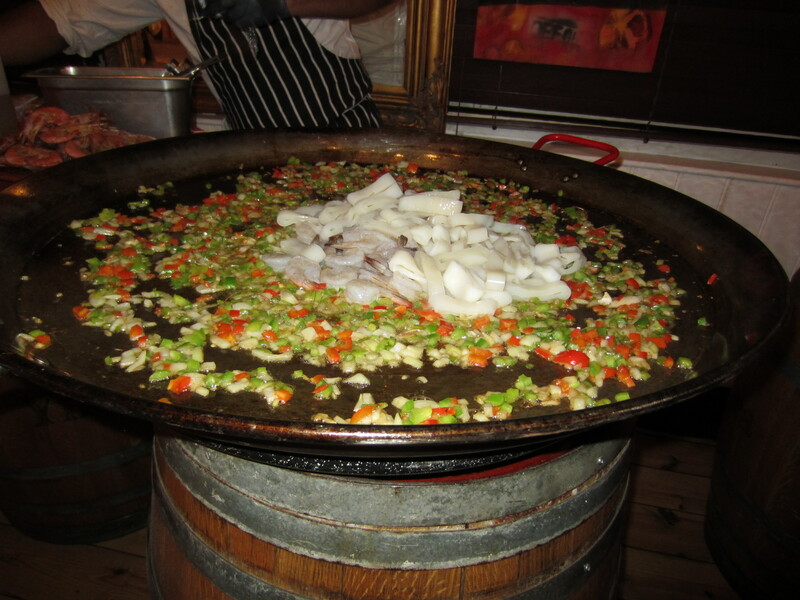 Paella is cooked over a large pan, for over 20 min. I learned an interesting fact that calamari is best cooked within a few min or over time. Antonio is the one responsible for sourcing ingredients all over the world for the restaurants. 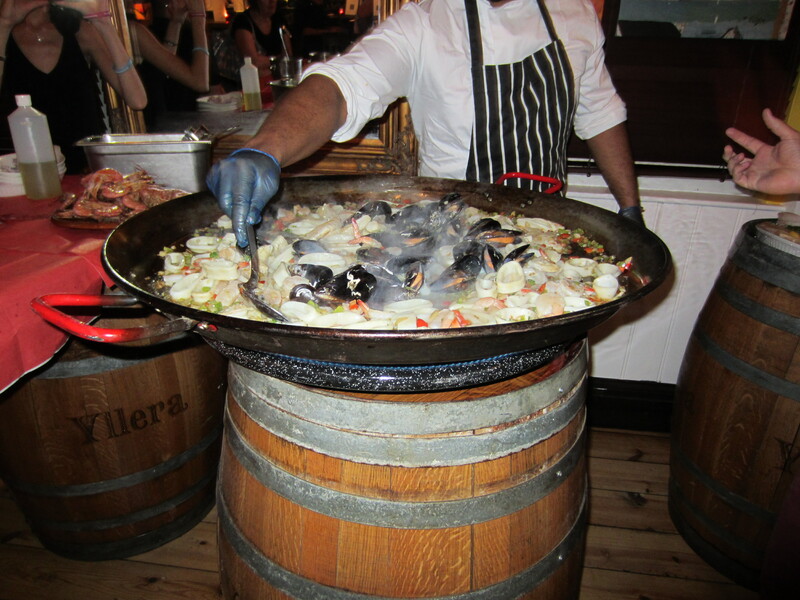 The guest eagerly awaited for 20 min and vivid colourful paella was served to our tables. 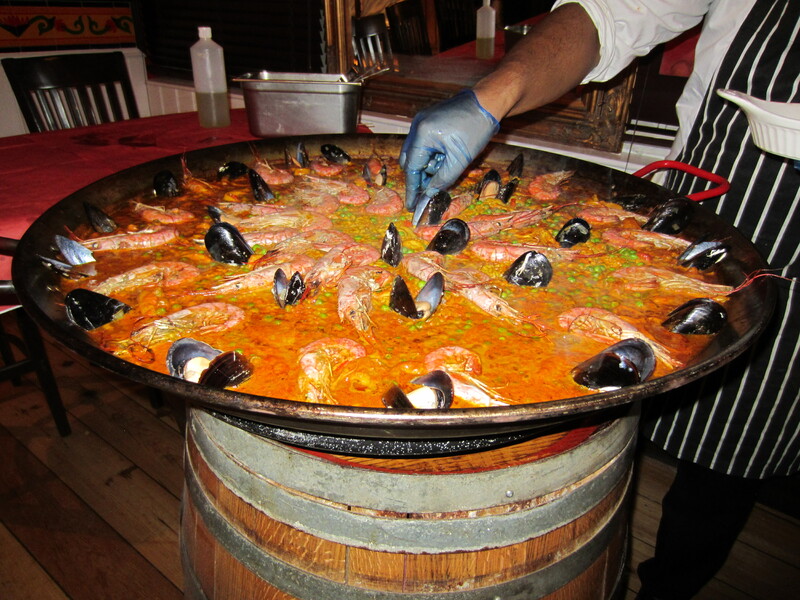 Any paella you order from La Tasca restaurant is made to order and takes a min of 20 min. 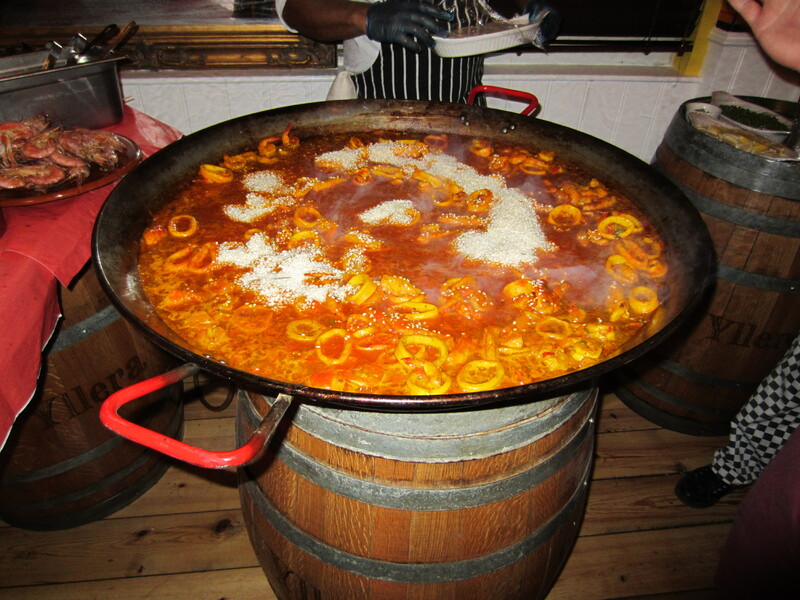 My friend is an absolute paella fan and said it was one of the best ones she has tasted in London. This was defiantly one of the highlights of courses I ate for the night. 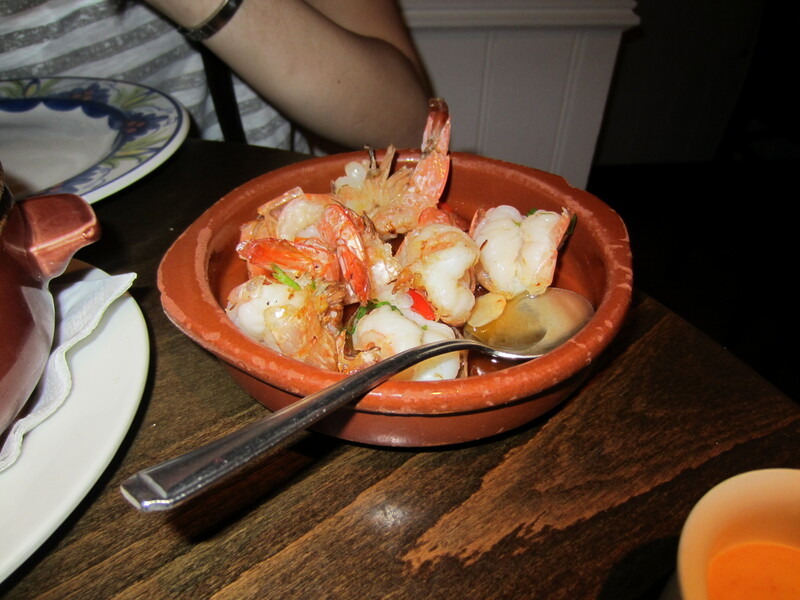 The prawns were sweet, juicy, and the rice was fragrant soaked in the stock they use. As my friend and I were still peckish we ordered some tapas to share between us. The server recommended the stuffed aubergine rolls, my second favourite dish of the night. 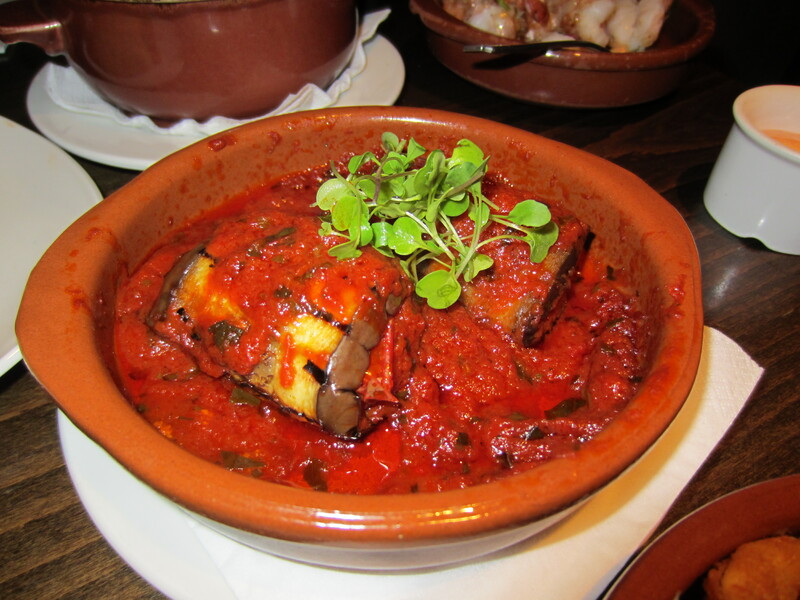 The aubergines were stuffed with tomatoes, grilled piquillo peppers and goats cheese. Absolutely gorgeous, perfect for vegetarians it gave the tang, the roasted/grill charcoal taste and strong mild creamy taste. 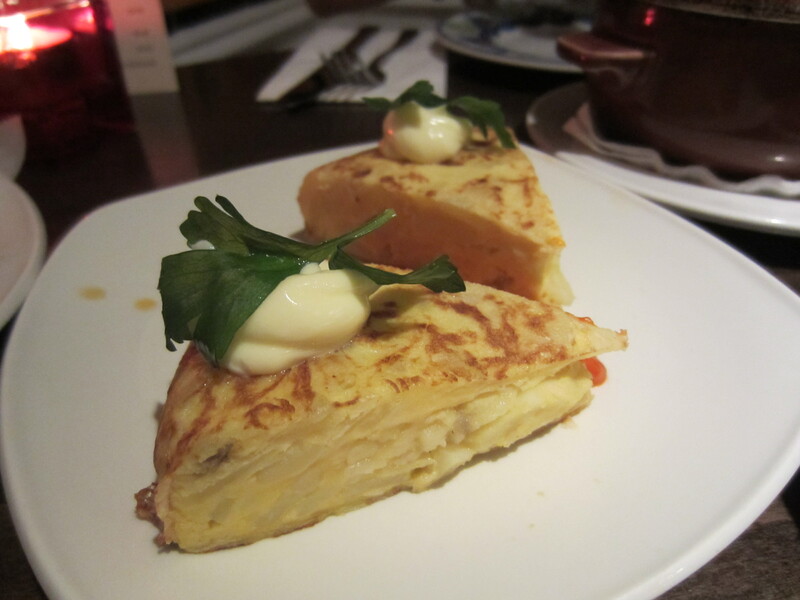 After tasting the Spanish omelette at Tapas revolution I wanted to introduce the dish to my friend. 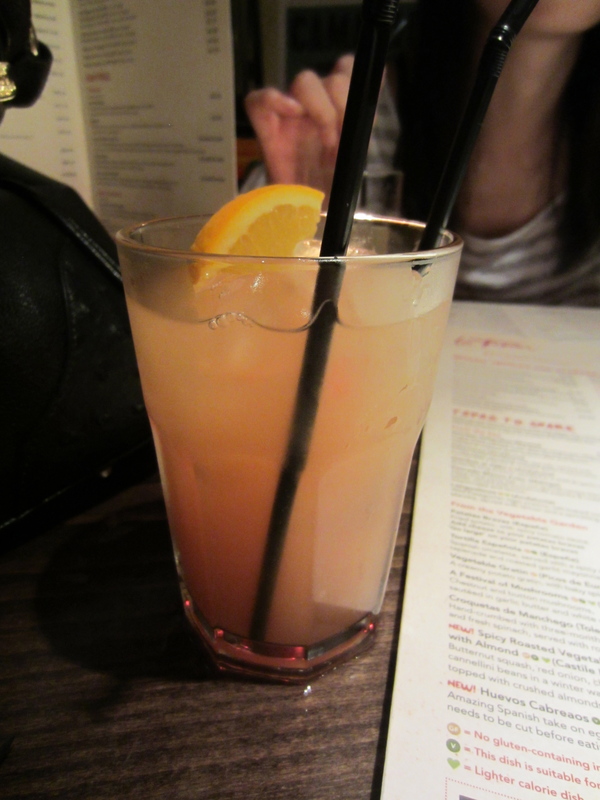 Although it was not as great as Tapas revolutions one it was still yummy. 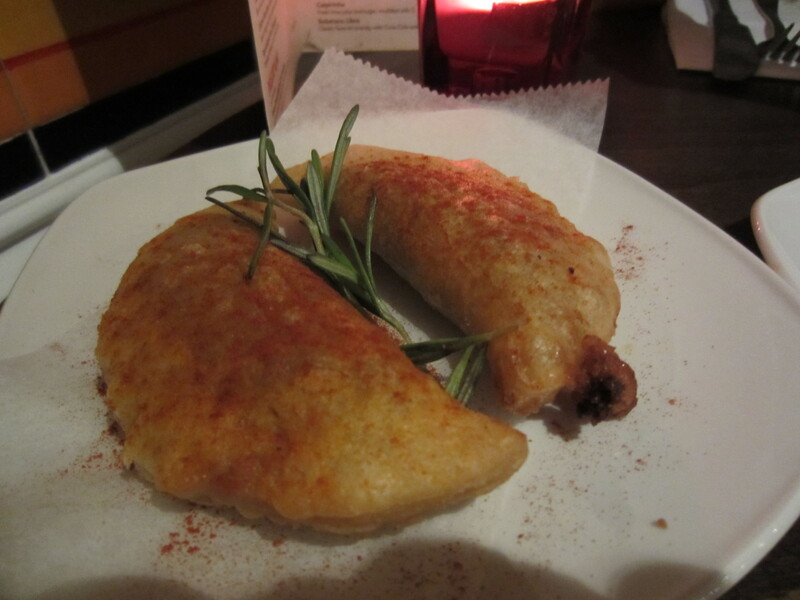 The empanadas de carne, had a golden crispy brown blanket. The puff parcels was filled with minced beef and regato cheese. The gambas al ajillo, was slightly transparent in appearance, the flavours were very subtle with a hint of garlic and chilli oil. 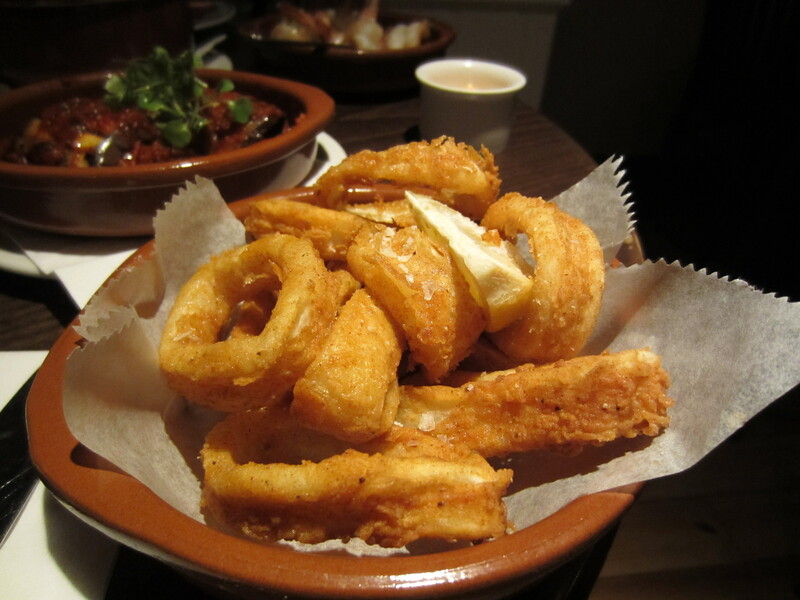 Overall I think La Tasca is a great place to grab small plates over drinks, and offers a relaxing environment. 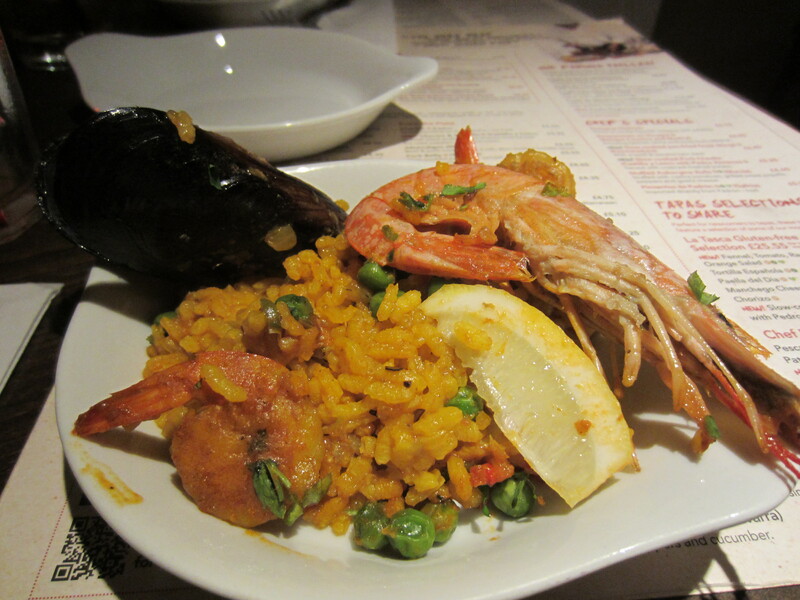 The paella is must to order and those delish aubergine rolls made my night.